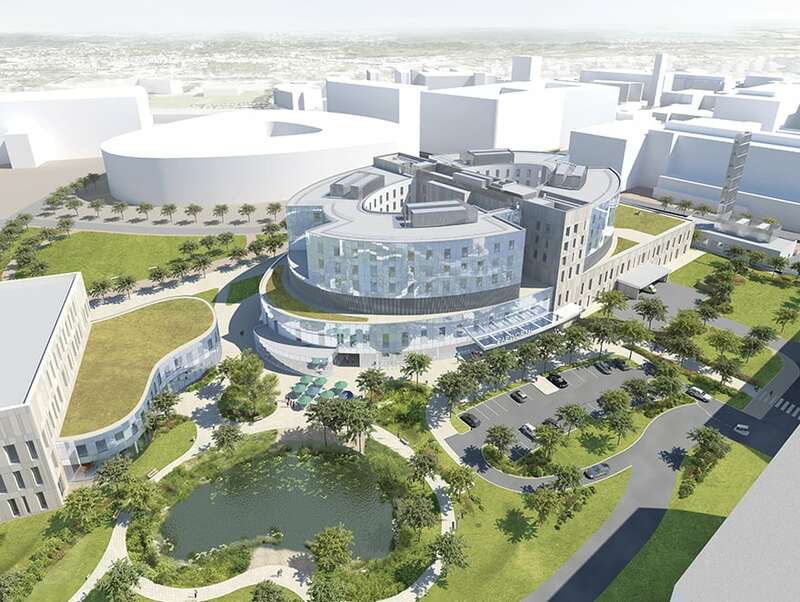 A £165m PFI hospital under construction in Cambridge aims to show how digital technology can transform the way medical facilities are designed, delivered and operated. Stephen Cousins reports. New Papworth is located on a massive new biomedical campus on the southern fringes of Cambridge and at 43,000 sq m is set to become the UK’s largest cardiothoracic hospital and its main heart and lung transplant centre. 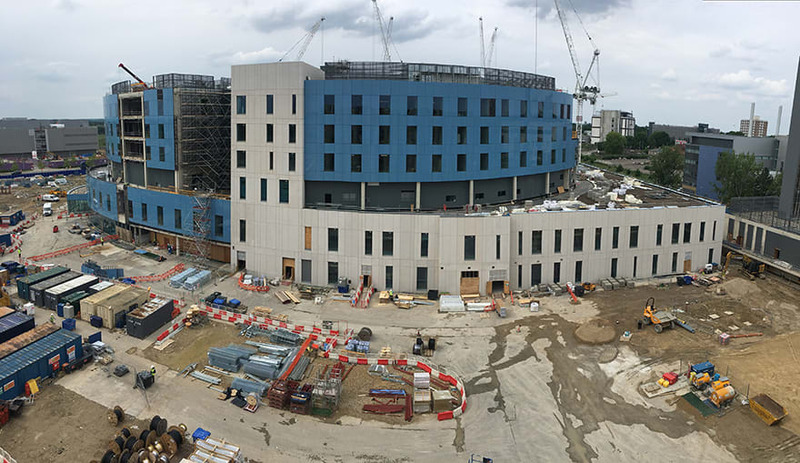 Featuring 310 beds, seven operating theatres, five catheterisation labs, a critical care area, an outpatient unit and an entire level dedicated to MEP services, the complexity of the project has prompted main contractor Skanska to deploy a range of digital and process innovations to help streamline design and delivery. Three-dimensional models were used by the client, Papworth Hospital NHS Foundation Trust, and nurses and doctors, to test out different room layouts in real time, helping accelerate the design consultation process. Internal walls for the entire project were set out from BIM software, in a matter of weeks, by two drywall contractors with no previous experience of the software. Meanwhile, site staff use tablet-based apps to carry out snagging and work hand-off activities and keep track of trade operatives, who number up to 500 on site at peak times. New Papworth stands at the heart of the developing Cambridge Biomedical Campus, one of the largest centres of health science and medical research in the world, which is also home to Addenbrooke’s Hospital and the forthcoming new HQ for AstraZeneca. The £140m PFI contract is being carried out by a number of private firms including architects and construction companies. Skanska is responsible for design and build, finance, and operations and maintenance responsibilities and its share of the equity investment is £5.5m, matched by an equal amount from investment firm Equitix. The project team includes architect HOK, structural engineer Skanska Technology and MEP designer Troup Bywaters + Anders Engineering Partnership. New Papworth will replace the famous 276-bed Papworth Hospital, located at Papworth Everard, 13 miles west of Cambridge, founded in 1918 as a sanitorium for the treatment of tuberculosis and which in 1979 carried out the UK’s first successful heart transplant. The facility strives to replicate the tranquil setting of Papworth Everard, surrounded by parkland with mature trees, where links with the outside world aid patient recovery. All bedrooms will offer outside views, either on to landscaped gardens, or a daylight-filled internal courtyard. An iconic pond at the original hospital will also be recreated. Construction was originally tabled for late 2012, but a series of delays cut short the timetable. HOK’s original design, for an angular building with an H-shaped plan, was rejected by a group of project stakeholders not involved in the early design process. A hasty redesign over Christmas 2012 saw HOK come up with the idea of curving and connecting the ends of the H to create a more aesthetically pleasing oval plan, which would also reduce walking distances and give nurses direct sightlines to all patients. The facility is arranged over five storeys, centred around a reinforced concrete stair and lift core. The ground floor incorporates the main entrance and circulation areas for staff and public, with a restaurant and facilities for outpatients, rehabilitation and imaging. The centre of the oval plan is covered by a double-height atrium with an ETFE roof. The first floor, by contrast, is given over to critical care, operating theatres and admin spaces, all serviced by extensive plant machinery on the second floor. The third, fourth and fifth floors are largely taken up by patient rooms, arranged along the inner and outer walls of the oval. The basement level includes sleeping accommodation for doctors on call, as well as corridor links to the nearby Treatment Centre at Addenbrooke’s Hospital and a new Heart and Lung Research Institute on an adjacent site. The latter is a joint venture between Papworth Hospital and the University of Cambridge, where patient treatment will feed into research and medicine. 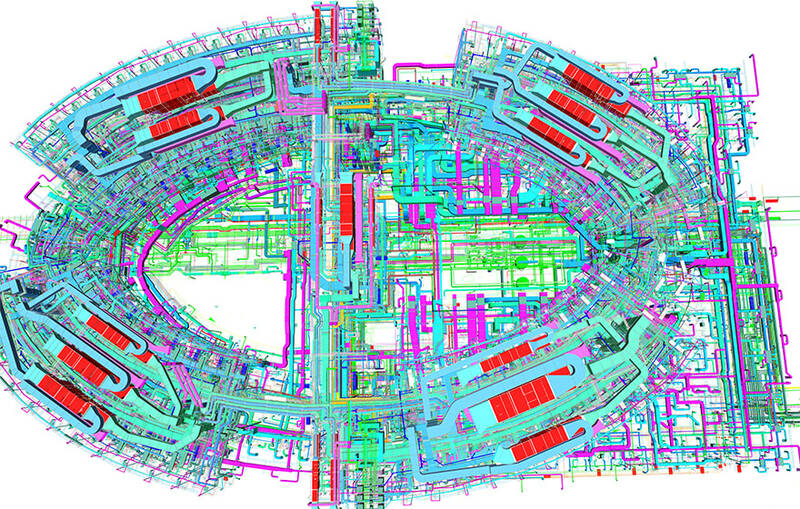 Skanska chose to roll out BIM on the project to help design and manage the enormous complexity of the job, even though 3D BIM was not a contractual deliverable. The contractor is applying lessons learned during the recent construction of New Karolinska Solna (NKS) University Hospital in Stockholm, a BIM exemplar and one of Sweden’s biggest ever hospital projects. Detailed design for architecture, structures and MEP has been carried out in software such as Autodesk Revit, CADduct and Tekla, with Navisworks and Solibri used to view and clash detect federated models. 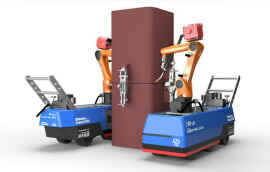 The 3D model is used for the production of individual service 2D detailed construction drawings. With a limited amount of time available to work with end users and the NHS Trust on design reviews, 3D models were used to carry out fast and intuitive tweaks to room layouts. Specific rooms, such as bedrooms and operating theatres, were projected on to a large screen in design review meetings where architects and a clinical planner explained layouts and functionality and doctors and nurses were able to reposition components in real time. “What might have been a three-meeting session over six weeks, trying to mark up and alter paper designs then input into CAD, took just 30 minutes and at the end of the meeting we could sign off entire room layouts,” says Flowers. A virtual reality “BIM cave” was also set up at Reading University to enable members of the trust to immerse themselves in 3D spaces. This proved critical in helping them to understand how curved internal corridor walls would impact on nurses’ views through glass windows into bedrooms. As the project moved into construction, the 3D model was used to plan and interrogate work sequences in meetings. 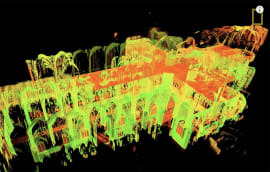 Geometric data from Revit was exported into Trimble Field Link software and used by the partition contractor to set out all internal walls using a Trimble robotic total station. According to Skanska, setting out from coordinated 3D files helped improve accuracy and reduce rework. Two fixers were able to set out the entire building in a few weeks and were trained to use the system in a matter of hours. The system also generates valuable metrics, as graphs, pie charts, or raw statistics, to provide Skanska’s project manager with a snapshot of different floors, or zones of the building to help them keep track of the wider programme. Arguably the most critical BIM tools being deployed on New Papworth are used by supervisors and managers to monitor and troubleshoot the progress of work on site and generate overarching statistics on progress. The cloud-based collaboration app Bluebeam Revu streamlined delivery at NKS in Stockholm and is being used at Cambridge to track handoffs between different trades and ensure that key deliverables are met. 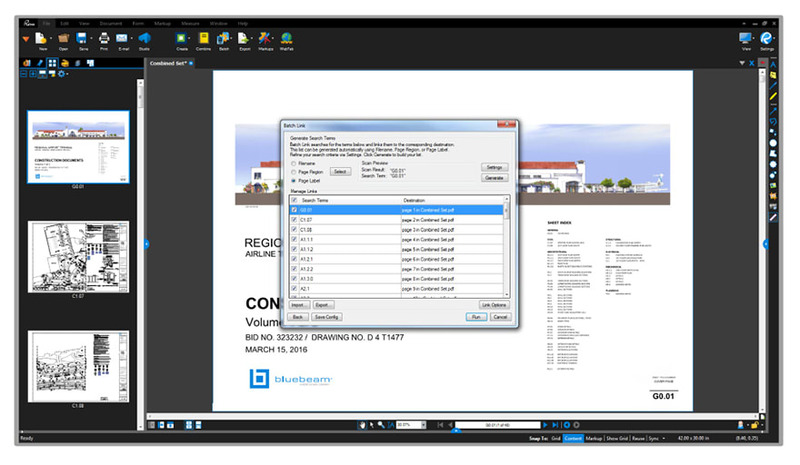 The app enables users to collaborate on single copies of PDF drawings using iPads on site. Important electrical, piping and mechanical systems inside double walls must be completed before a wall is closed off. The app enables each subcontractor to annotate drawings with specific punchkey symbols to indicate that its work is finished. When Skanska’s construction manager has verified this, he signals a green traffic light to confirm that a key milestone has been reached. 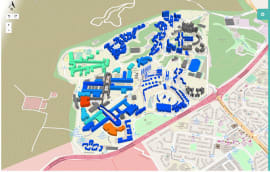 Areas rejected by Skanska are marked red and an alert is immediately sent to the trade contractor to resolve any issues. The cloud-based app BIM 360 Field is being used in a similar way, but only by Skanska, to carry out the compliance checking and snagging on site. Project managers use iPads to scan QR codes on doors and call up PDF drawings and datasheets for each room. They then fill out checklists to confirm that each specialist item is built to comply with drawings. 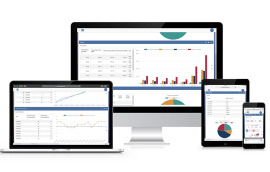 An independent tester, with access to BIM 360 Field, can monitor progress in real time and eventually sign off activities in the software. The app has proved particularly useful when monitoring progress on ceilings, one of the trickiest aspects of the project involving up to 13 different trades all trying to get work signed off in the same space. Ryan Pocock, Skanska’s construction manager for Level 1 of the hospital, comments: “The system enables us to upload photos to highlight any problems, so there is no room for interpretation. Automated notifications go out to contractors twice a week. It’s certainly easier than having to write everything down and then type it back up in the office.” The tool is also used for health and safety management and issuing clear-up notices. All data from BIM 360 Field and Bluebeam syncs back to a central project execution plan that enables senior managers to interrogate any issues with different trades. PFI hospitals currently cost the NHS an estimated £2bn every year in maintenance and operational costs, which equates to more than £3,700 every minute. At New Papworth, BIM technology will help rein in that expense by improving operational efficiency and maintenance management. Skanska Facilities Services is responsible for all “hard” FM activities at the hospital for the next 30 years and worked closely with the main contractor and its supply chain throughout design and procurement to ensure all its needs were taken into account. 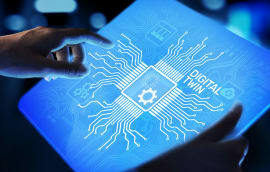 A complex building management system will be linked to condition-based monitoring software designed to help refine ongoing operational performance, and fine-tune the efficiency of equipment. The system looks for anomalies in standard modes of operation and flags up things that don’t look right. “That information is passed immediately to our FM team as an alert to inspect the item and decide whether to maintain, correct or replace the item before going back into operation,” says Reid. It will also generate monthly reports on the building’s overall operational efficiency and make recommendations on how to tweak systems to improve performance. Ransomware may have recently laid bare the NHS’s outdated computer systems, but New Papworth shows how cutting-edge digital technology has the potential to transform hospital delivery and operation. With the health service currently enduring its biggest financial squeeze, the project could become a model for more cost-effective operation, helping ensure its long-term viability. Sophisticated monitoring ensures the hospital works at peak energy efficiency. A range of low-carbon technologies and a state-of-the-art condition-based monitoring system could make New Papworth one of the most energy-efficient hospitals in the UK. The facility is designed to achieve an EPC “B” energy rating, the first hospital in the UK to do so, and takes several environmental cues from New Karolinska Solna university hospital in Sweden (also built by Skanska), one of the first hospitals in the world to gain the coveted LEED Gold certification. Efforts to reduce emissions include an impressive 67% proportion of efficient LED lighting, significantly higher than the 15% required under the PFI contract.A large-scale ground source heat pump system is designed to provide 100% of the hospital’s year-round cooling requirement and the base load for heating. Each of the 124 boreholes go down around 150m and are spaced at 8m centres to optimise the use of underground temperatures. This will be supplemented by a combined heat and power unit (CHP), running on zero-carbon rated biofuel (fish oil), plus traditional oil and gas-fired boilers where higher temperatures are required for domestic hot water and additional heating for the ventilation system. A sophisticated building management system ensures the overall system operates at peak efficiency, depending on the season, and determines which piece of equipment should take the lead under different environmental conditions. The PFI contract imposes high financial penalties on Skanska if energy targets are exceeded, so condition-based monitoring software will be used to scan and fine-tune system performance.